Ashburn, VA and surrounding cities Take a look at our map. If you need a an interior door replacement, it is useful to take into account some key elements. The first one is that if the aesthetics of the door is important, this plays a more important role than being a decorative item. Quality and style are elements to evaluate, because many times the durability depends of things like these. There are synthetic and wooden materials, in both we can find good and bad qualities. If it is made of wood it can be hollow or solid; it can also vary its structure between one or several panels. You can also choose between French doors with glass grids, cupboard type, sliding doors, etc. Another detail to consider is the time we have to perform the task, if we decide to do it by ourselves it can take a long time, weeks or months, especially they are several doors. If we allow to advised by experts, after the corresponding analysis has been carried out, the job can be a matter of hours in many cases. As we have seen, this task is not DIY, all this things makes us think that we need the advice of someone else in the matter. And not only for the decision regarding the material and style, moreover other elements like locks, door frames, hinges, etc. 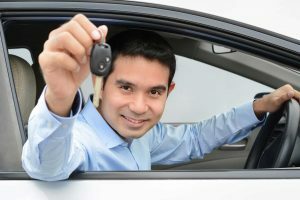 Therefore, it is important to have the support of a specialist in the subject, such as a locksmith professional. 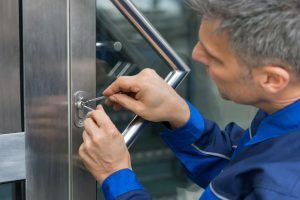 At Lockcity Locksmiths, LLC we are willing to provide you with all the help you need, then you can make the best decision to replace your doors. Do not hesitate to contact us for the best solution for your home or office. We are here in Virginia. Contact us in working hours at 703 981 9911 or write us in our contact form here. 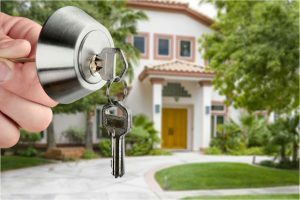 Having trouble getting into your home or unable to find your keys, broken key, or just moved to a new home, apartment, and need locks replaced or re-keyed. Lock City Locksmith provides a wide range of Commercial security solutions. Services for industries, hotels, small businesses, large corporate organization offices, retail stores and shops. Exterior or interior doors, adjustments, broken hinges or frame damage, we are here for you. Commercial door installation or repair on fire rated, wood, metal or aluminum doors. We are Professional Locksmith fully Licensed and Insured. Our company provides affordable and professional service all year long . All our locksmiths are trained technicians that make sure our customers receive excellent, fast and reliable service. Lock City Locksmith services cover residential, commercial and car lockouts.